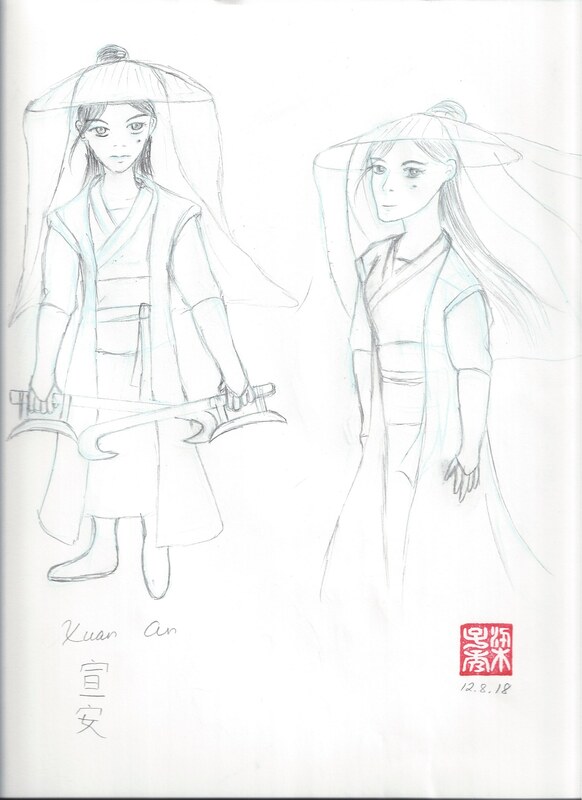 Xuan An is a friend of Zhang Huizhong and a disciple of Ren-shifu. She wields two hook swords skillfully in battle. She acts like a “protective big sister,” especially among little kids. Her backstory may be revealed in the future, if there is any interest.